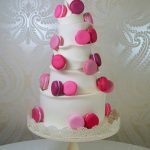 For someone who wants a bit of everything on their cake, this one’s for you! 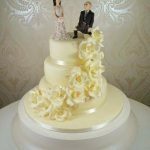 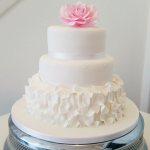 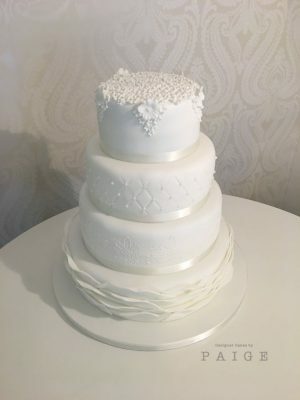 A 4 tier cake with detailing on each tier including wave ruffles, edible lace, quilting and dainty flowers on top. 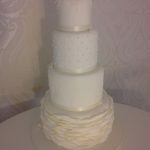 This is a standard height version of our Elegant Detailing wedding cake.